What a weird week. We’ve been pottering around in our own little bubble, and then you hear the news from Westminster and reflect on how circumstances can change in a heart beat. My thoughts are with the victims of the attack and all their friends and families. I don’t know what to write that isn’t trite, but somehow feel that carrying on living our lives, undeterred, and while still welcoming others, is the only way to proceed. In my frugal quest I remain optimistic about growing some of our own fruit and veg. When we first moved, the little peach tree in the secret garden was almost engulfed in ivy and growing out at an angle trying to reach the light. We stripped away loads of ivy and gradually persuaded the trunk back upright, but it has only ever produced a solitary peach, in true Roald Dahl style. 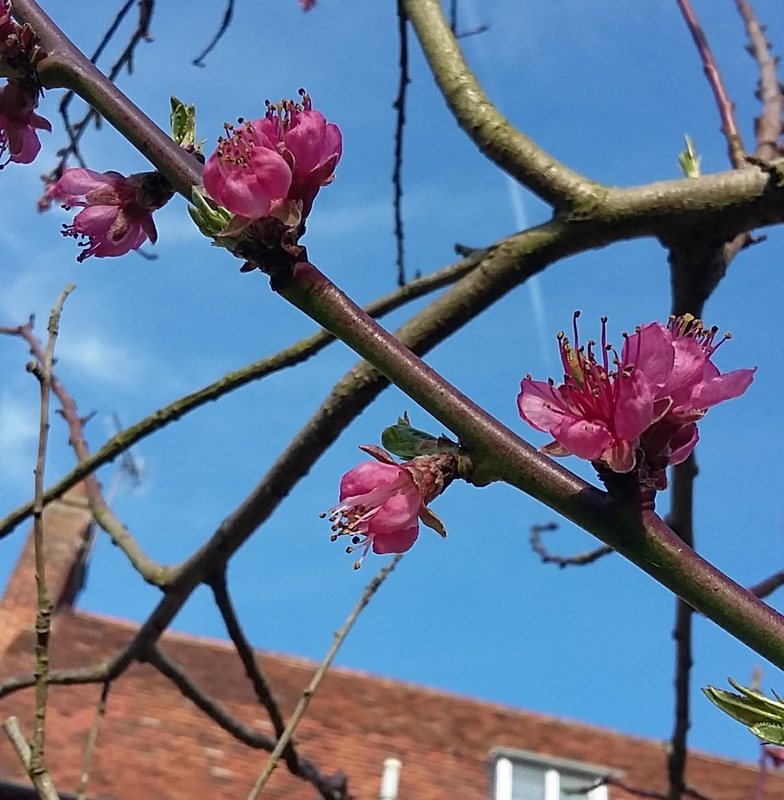 This week, pink blossom has started appearing on the branches. I’ve been reading up on the RHS website, and it looks like I need to get out there on sunny afternoons with a small paint brush, and start transferring pollen between the flowers. Fingers crossed for fruit in the future! When it comes to making the most of your money, I reckon small changes can add up to a big difference. Paying less for products, buying food that will stretch for several meals, using loyalty cards where available, earning cashback on your purchases, that sort of thing. Ideal world, I try to combine several money-saving measures at the same time. This week was a good example when I did a quick scan of the reduced section in the Co-op. 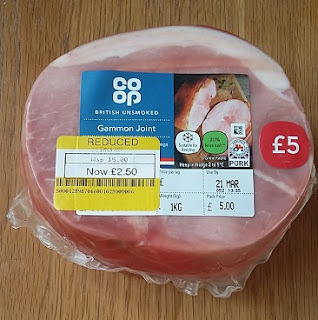 I found a chunky piece of gammon reduced to half price (pay less, tick), big enough to last for several meals (stretch food, tick), handed over my Co-op divi card (clocked up some dividends, tick) and paid for my shopping with my Nationwide Select credit card (few pence in cashback, tick). I also bought some value range orange juice so I could cook the gammon using a family favourite recipe. Last night, my husband and I ate slices of gammon with boiled potatoes and cauliflower cheese, and this morning my husband made ham sandwiches for his packed lunch. Reckon the remaining leftovers should also cover a topping on movie night pizzas plus another family meal of either creamy ham and pea pasta or quiche. Yes, I am overexcited about a box of food. Ever tried one of the food delivery boxes? They send recipe cards and carefully measured ingredients, so you can cook up a storm with less effort and no food waste. Much as I love cooking, I do sometimes get fed up with all the planning and shopping and working out what on earth we’re going to eat. 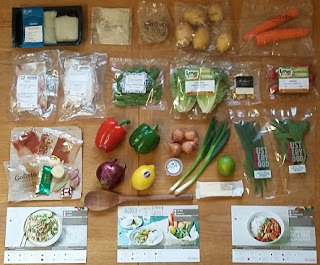 We tried a Gousto* box last year and it was great fun attempting new recipes and techniques, and inspired my husband to have a go at cooking. So when I saw a £25 off voucher code last weekend, I leapt at the chance. And coincidentally (cough) our 3 meals for 2 for £9.99 have shown up just in time for Mothering Sunday, so I’m letting Josh choose which one to cook for me. Even after the discount, it’s probably a bit more than I would spend normally on our food, but it’s nice as a treat. If you’ve never tried Gousto* and fancy giving it a whirl, you can get £25 off using the code PROMO25. Alternatively, if you want one of the mega boxes with 4 meals for 4 people, you might save more by using the code SAVE50 for 50% off. 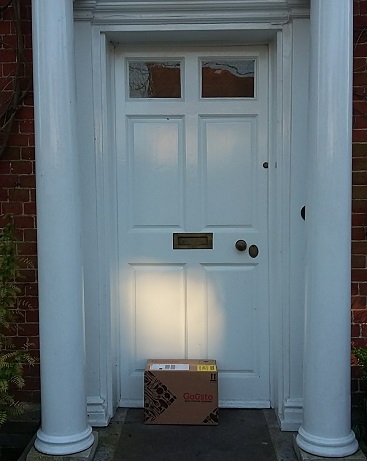 The codes work until the end of April, so pick the right delivery date and it could help survive the onslaught of the Easter holidays. 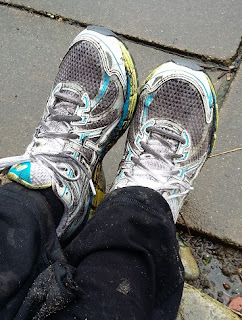 I am still slogging away at running, in my attempts to get fit for less and last long enough to get round the Great East Run. So far, I can run for 5km. This means 20km by September still seems a big stretch. Part of the waistband on my running trousers got ripped, right by the drawstring. However, as the rest is perfectly good, I sewed up the rip rather than shelling out for a new pair. Aside from any thrifty motives, I’d rather not add to landfill if I can avoid it. Back in January, I got an email from our electricity company explaining my bills were about to go up at the end of a year-long deal. I promptly switched providers – and now, only a couple of months later, the new company has emailed about price rises. Our bills are due to shoot up a whopping 30%! No wonder they were a cheaper option back in January. 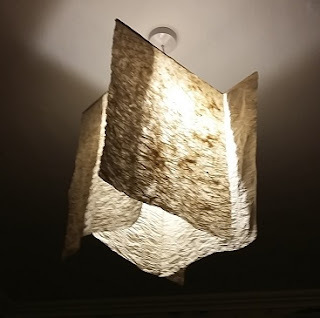 So once bitten, twice shy, and when I switched again this week I went for a fixed tariff with Octopus Energy*. It wasn’t actually the super cheapest option on the comparison sites, but a couple of the companies with the lowest prices had really dire customer service ratings, and I’ve had a bad experience in the past with the seven circles of utility bill hell. Octopus Energy* seems to have lots of happy customers, supplies big chunks of renewable energy and advertises itself as offering consistently good value prices, rather than luring you in with a bargain basement offer and then whacking up the bills in year two. I’m hopeful it’s a better option for us, and will report back on how it actually works in practice. So there you go, a round up of five frugal things from our week. Any thrifty triumphs to celebrate? Do comment and share your successes, I’d love to hear. And if anyone tries the Chip savings app (post here) to save more and earn extra interest, do let me know. I love the way you combined three money-saving tricks in buying one ham! Brilliant 🙂 And switching energy providers so soon must feel like a faff but at least you're on top of their sneaky price rises. Good stuff! Thanks Lee. Looks like ham pasta bake is on the cards tonight, to finish off the last of the leftovers! Your new house looks amazing! Hope you and your family are all very happy there. Thanks Becky! Glad to participate in #5frugalthings as it reminds me of all the small savings. Good on you for staying ahead of those rises. How cheeky yo up them price so quickly after switching, that would have put so many other people off switching again! I think it made me cross, because it happened so quickly, and made me more determined to switch again!